Son of the four gaited stallion Pistill frá Litlu-Brekku (8.10) and Sveifla frá Geirmundarstöðum. 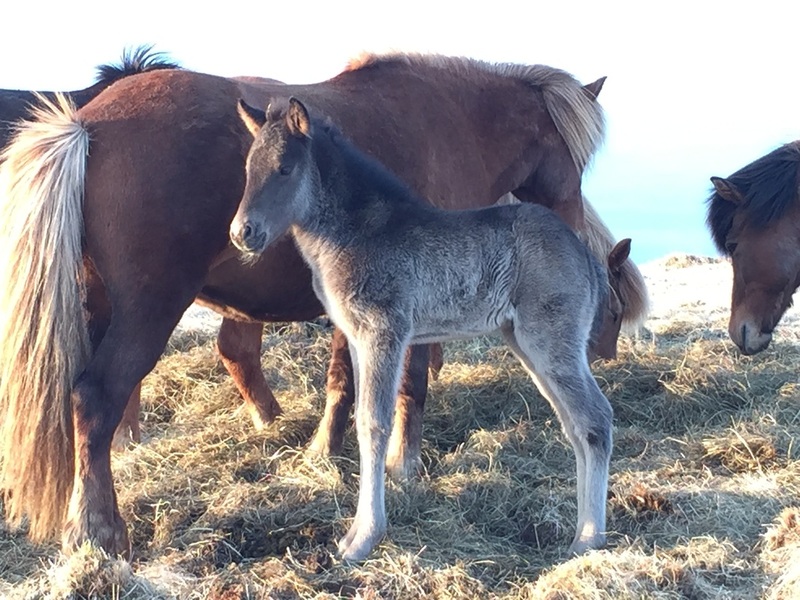 Tangó frá Heimahaga is beautiful and promising black stallion foal, son of Pistill frá Litlu-Brekku (8.10) and Sveifla frá Geirmundarstöðum. 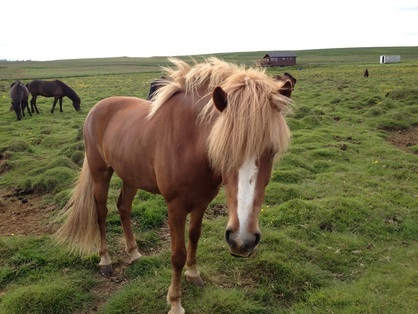 Tangó is Sveifla's secound offspring and was born on the 6th of May. Pistill frá Litlu-Brekku (8.1) is a great four gaited stallion with 8.11 for Conformation and 8.08 for Riding Abilities; 9 for tölt, 9 for trot, 8 for gallop, 9.5 for spirit, 9 general impression and 7.5 for walk, total 8.10. Pistill has also 8.5 for slow tölt and 8.5 for canter. Pistill is son of the four gaited stallion Moli frá Skriðu ( 8.21) and Prinsessa frá Litla-Dunhaga (8.03). Moli frá Skriðu has 8.36 for Riding Abilities; 9 for tölt, 9.5 for trot, 8.5 for gallop, 9 for spirit, 9 for general impression and 6.5 for walk. Total (8.21). 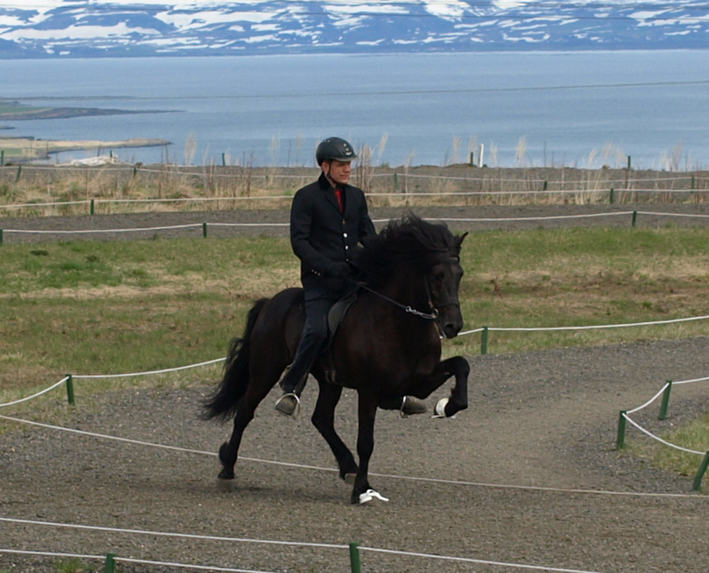 Moli ha also 9 for slow tölt and 8 for canter. 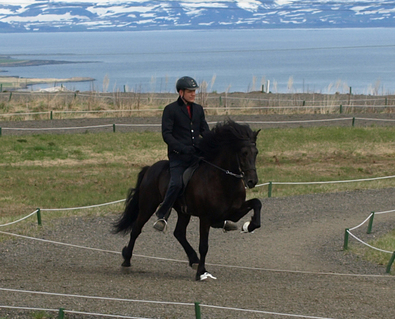 Sveifla frá Geirmundarstöðum is a five gaited mare with high foot-lift, excellent slow tölt and very good spirit. 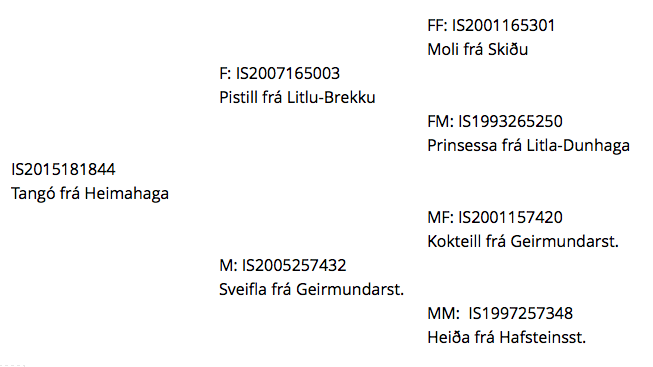 She's daughter of Kokteill frá Geirmundarstöðum (8.02) and Heiða frá Hafsteinsstöðum, daughter of Feikir frá Hafsteinsstöðum. Sveifla is a very good mare but in 2011 she had an accident and unfortunately could never be shown in a Breeding Show.